Zombie Survival Simulator will be a unique SIM/RPG game for multiple platforms. ZSS is not a mere 'rip-off' of other games - using the developers own engine built from the ground up and taking the concept of the zombie survival horror theme while mixing it with addictive and new gameplay ideas, styles and elements. You will assume the role of an anonymous male or female character trying to survive in a sandbox hell of the walking dead. Find food, water, shelter, weapons and survivors in your struggle to pass the dayz. About the project As it stands the game is roughly 50% complete - the engine and logic is done using parts of my previous projects and codebase (including years of work), fully optimised and ready to rock. The project is now at the stage where I am adding the majority of content (npcs, events, zombies, locations etc). Zombie Survival Simulator 2015 - New graphics, new concept and now Greenlit! First of all I know I have been a 'quiet' dev. I began this project in 2013 - created my own engine and everything etc. it was pretty neat. Since then I have been listening to the community and their concepts, critisms and even the great deal of support this project received. I took a step back and honed my skills, engine mechanics and even now the all important 'graphics' - but most of all the gameplay. I want to give massive props to everyone who took the time and commented, viewed and gave me support. 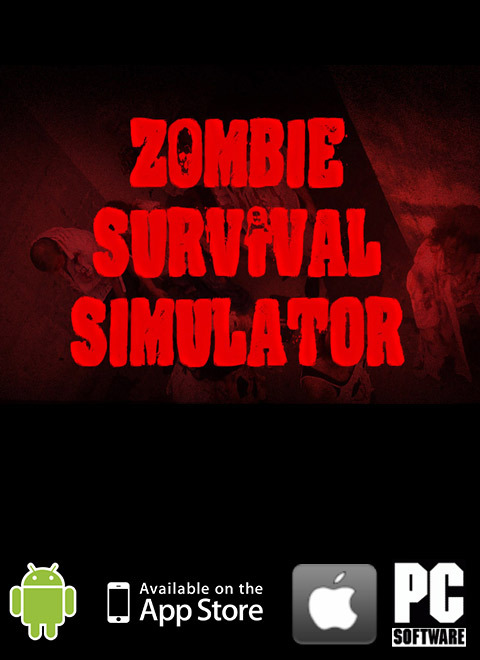 It's thanks to all of you that I have continued improving on myself and picking up/revamping Zombie Survival Simualtor. I have uploaded some new screenshots of the new graphics, engine and stuff in the projects current 2015 build and concepts. Due to the initial Kickstarter receiving no funding I was not able to dedicate eveything to this project and made other stuff and worked as a web/applications developer for a refrigerations company so exciting stuff. But I'm thinking about relaunching the kickstarter with a new look and a guarantee of the projects Greenlit status. its 2015 man what happened ?? A lot. I ran into plenty of issues with the project, at first it was not greenlit on steam (though I received plenty of support and from people on here and youtube was fantastic) and although I continued to develop for mobile iTunes t&c's changed restrictions on file sizes of the main executable - I got around this but it then made development ten times harder than what it used to be. It also didn't receive Kickstarter funding etc so I needed to provide for my family (my son is now 4 years old) so went back to web/app development etc. to cover my costs and made a few mini projects on the side. I have never stopped improving on my skills and made various projects and concepts since. Check out the new up-to date screenshots I uploaded. Thanks for the interest though you guys are the reason I'm not giving up! What tools or software you used to make it? Great game! hmmm. interesting game, when is the first playable version released? I am aiming for July 2013 release for mobile and September for PC/Mac.